Early in the Cambrian period, about 530 million years ago, an astonishing variety of animals inhabited Earth’s oceans. 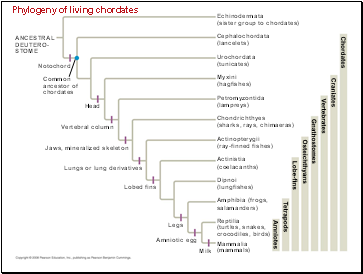 One type of animal gave rise to vertebrates, one of the most successful groups of animals. 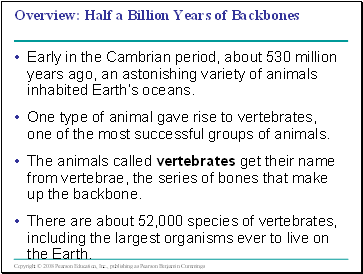 The animals called vertebrates get their name from vertebrae, the series of bones that make up the backbone. There are about 52,000 species of vertebrates, including the largest organisms ever to live on the Earth. 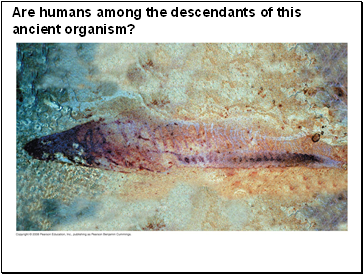 Are humans among the descendants of this ancient organism? 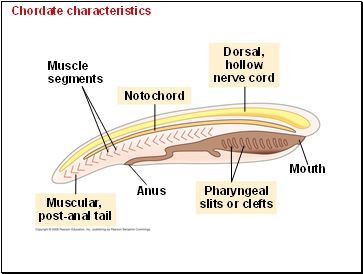 Vertebrates are a subphylum within the phylum Chordata. 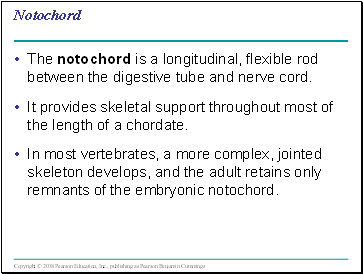 Chordates are bilaterian animals that belong to the clade of animals known as Deuterostomia. 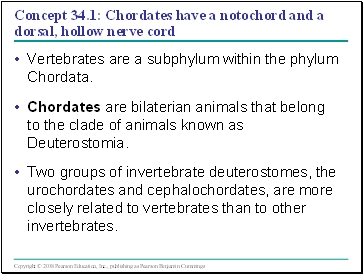 Two groups of invertebrate deuterostomes, the urochordates and cephalochordates, are more closely related to vertebrates than to other invertebrates. 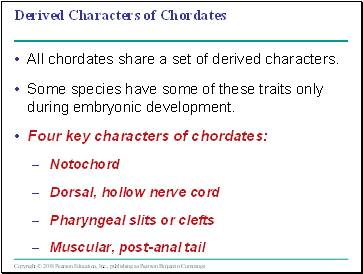 All chordates share a set of derived characters. Some species have some of these traits only during embryonic development.